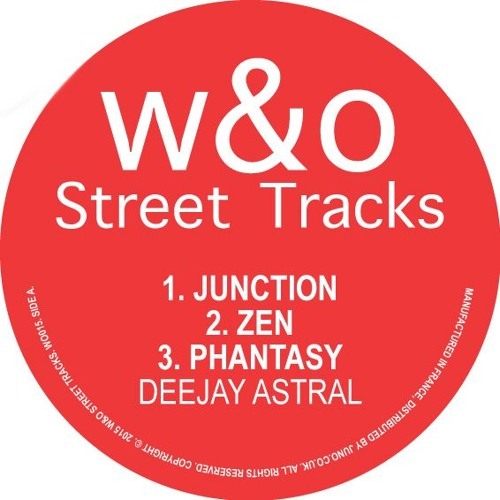 Deejay Astral, the artist formerly known as Palace, is making moves to establish his new persona, and his new EP on W&O Street Tracks (out Dec. 7) should more than see to that. In the loosest possible sense, the three tracks that comprise Astral's self-titled three-tracker could be classified as house music. But it's so much more than that. None of the tracks on the EP stick to a rigid format, constantly toying with house music's innumerable tropes. "Phantasy", in particular, takes a deep house melody and distorts it to give it a crunchy analogue feeling not often heard in house music. Add to that the unsettling, tortured vocal refrain that drips with anguish and you've got a piece of house music that won't be forgotten in a hurry. This is one hell of an opening gambit and one we can't wait to see him top.